More than ever colleges and universities are under pressure with increased demand for undergraduate support services. However, while requests for rapid access are increasing year on year, waiting times are getting longer. Students are often away from home for the first time, away from their familiar support network and under increased academic and peer pressure. To keep students motivated, well and on track academically and personally it is important to enable them to access the services they need. Using online scheduling helps you to maximize your current resources by increasing access, reducing no-shows which impacts on waiting lists, and reducing the admin time it takes staff to setup appointments in the first place. Our optional self-scheduling enables students to self-schedule at a time that is convenient and comfortable for them increases access and allows them to schedule outside working hours. Our SMS / Email reminders help students remember upcoming appointments and stay on track with attendance. This reduces no-show rates by up to 80%. With waiting lists for many services, appointment no-shows waste precious time and resources and add to waiting lists. Our responsive reminders ask students to confirm or cancel their appointment by return. We display confirmations and cancellations visually in the staff schedule so you can see at a glance which students have confirmed and which students have cancelled. Cancelled appointments go back into the pool of time slots available for staff or students to schedule helping you get on top of your waiting list. YellowSchedule enables you to fulfil your HIPAA obligations and protect student’s data. We have strictly controlled access to data. SSL provides an encrypted link between your workstations and our servers. Student data is encrypted at rest (Rijndael AES256 cypher). Our database is on a dedicated enterprise server, not shared with any other organization or company, in a biometrically secured facility in the US. We do not share data or syndicate any data, anonymized or otherwise, with any 3rd parties. Role based permissions for staff access to allow segmentation of patient notes and details. We maintain a replicated database system and have a system of daily backups. YellowSchedule can help you streamline much of your admin work. Our powerful tools allow you to coordinate appointments for multiple locations, staff, services and pooled resources such as rooms. It reduces email/phone tag between staff and students co-ordinating appointments in turn enabling staff to focus on more productive tasks. You can keep track of student information, appointment history and email correspondence in one central place. Our reporting dashboard allows you to fine-tune reports on appointments, cancellations, no-shows, messages sent and received and to compare metrics across your staff. Role-based admin access levels enable you to give the granular level of access required to a variety of permanent and contract staff. Our secure document upload tool enables you to store documents such as consent forms within the student record. Why not use the email reminder setting to send a satisfaction survey after appointments? 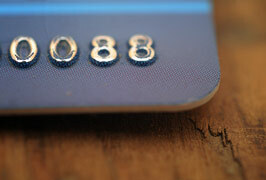 Take payments securely through our integration with Stripe. You can use our payments module to manually take payments. You can securely store card details of students on YellowSchedule and raise payments, deposits or refunds and send receipts. The access levels that can be assigned to staff members for the payments module are Full Payments Access, View Payments Only or No Payments Access. You can instantly set up a linked Stripe account from within YellowSchedule by clicking on the initiation link in the payments area. Single Sign-On (SSO) support allows for secure scheduling by students through your University’s existing Identity Provider. This puts you in control of who can place bookings. 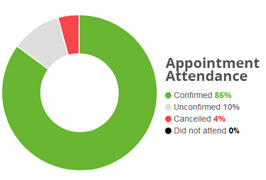 Appointments can be booked quickly and seamlessly by students. 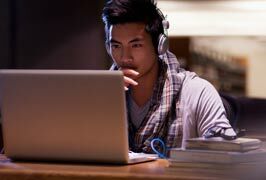 Security is improved as passwords never leave your system and students don’t have to maintain extra passwords. Our API is perfect where custom integration is required. We also have a webhooks system which will allow our system to instantly ping your system when something changes. See our API documentation for further info. YellowSchedule can enable a 2-way Calendar Sync for Google Calendar and Microsoft Office 365 users. This means that many of your staff and service providers can continue to use these schedules as normal, and only admins need to log-in to YellowSchedule. This minimises disruption and barriers to implementing a new system.